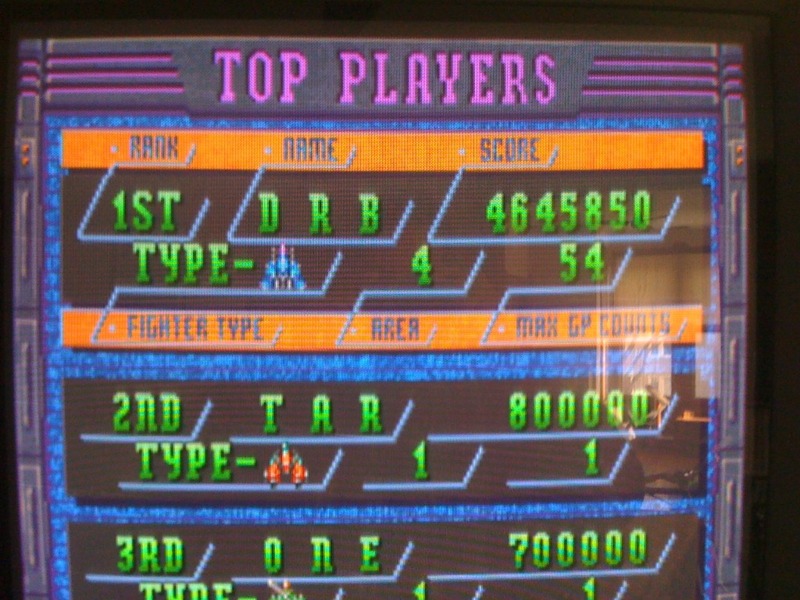 A new Donpachi score means only one thing - got a new MAME box! Specifically an IBM Thinkpad running ShmupMAME and it runs it excellently. I set it up Friday and played a bit on Saturday, getting some time in on Twin Cobra and Donpachi. I actually really enjoyed Donpachi and credit fed the game a number of times working on the later stages and then set this score, not really destroying my old one, but more setting up my future progress. I was actually working on chains where I knew I could get 20 and 30 hit runs when timed right and it shows in this score. I'm excited to have a MAME box back and I'm hoping to get some good progress on DP here in the near future. Nice score, I could never get into this games sparse chaining, and mostly played it for the 1cc. Doesn't help that scores that approach the Japanese WR are kept in such secret as well. The chaining is a bit more like Ketsui - short bursts, big scores. I'm not sure how the multiplier works, but you can easily get 1 mil in the first stage by pulling together a few chains. I'm not sure why the JP scores are so secret, but I would kill for a 70-80 mil superplay! Apparently there is an 80+mil score out there and a DVD as well just being passed around between friends/superplayers. Ooooohhh, I'd love to get my hands on one! All kidding aside, the fact that there may be a DVD recording of that 70-80 mil getting passed around JP is awesome!!! Hah! Yeah, I use to think it's wasn't too fun or exciting, but it is a pretty deep game and not too hard. With a bit of practice, I think I can make the loop.